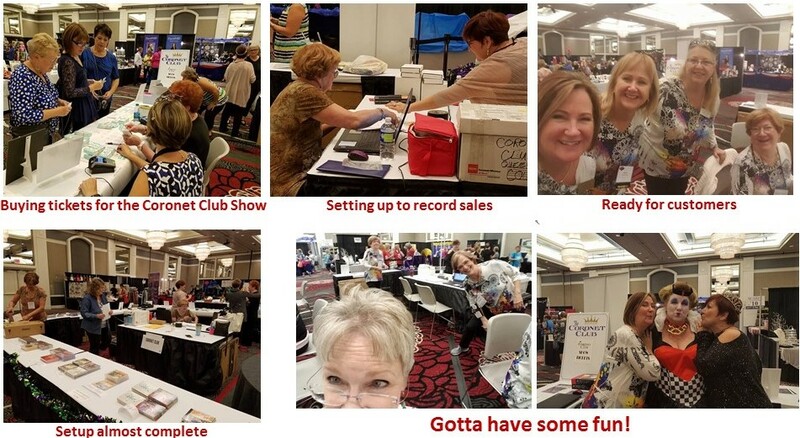 Recently several members of the Inland Empire Chorus attended the 2016 Sweet Adelines International Convention and Competition in Las Vegas, NV. In addition to listening to our organization’s regional winning quartets and choruses, we had the privilege of working in the Harmony Boutique at the Queens’ Court. We assisted in selling International Champion Quartet CDs and tickets for the Coronet Club Show. Since everyone wanders into the Harmony Boutique sometime during the week, it's a great way to say hello to friends, and even be treated to a surprise song by a champion quartet.